The history of public education in the United States is one that’s long, convoluted and, most notably, absent from any information on special education up until around 1975. That’s when the Education for All Handicapped Children Act (EAHCA) was signed into law, which mandated that special education services be provided for all children with special needs. Access to these services was now a right for all children, who were afforded the chance at a Free Appropriate Public Education (FAPE). Before these services were offered, the road to special education success was a rocky one, and one that was fraught with both accomplishments and setbacks along the way. Children with special needs were seen as having something “wrong” with them, and were not afforded the same privileges as those who could learn at a rate more on par with their grade-appropriate peers. Educational advantages were slim to none, and most of the time parents of these children were forced to homeschool or, worse yet, send their child to an institution where they would be looked after by professionals. For families with a limited educational history or very few resources, this sometimes meant a choice between heartbreak or no education at all. Little by little, the country started to awaken to the fact that a new standard for education must be implemented. It was simply not fair to exclude children based on their disabilities, but change was still a long time coming. The idea of special education services was kicked around by lawmakers, but it wasn’t until 1975 that EAHCA was actually written and implemented as a way to give a child with special needs the same access to education as everyone else. This was a definite win for special education, and one that opened the floodgates for children who were previously denied any education at all. In 1990, EAHCA was reauthorized by lawmakers and renamed the Individuals with Disabilities Education Act, which was when a clause was added that all children had a basic right to receive a Free Appropriate Public Education. This meant all children, from kindergarten through their senior year, were able to participate in not only a general education program but receive special education services, too, should they be needed. What Is Special Education Tutoring? Children with special needs often times require more individual attention and customized learning plans. As classrooms increase across the US, it’s becoming more difficult for teachers to spend the time needed to ensure all children in their class are successful. Many parents are turning to alternate methods to ensure their children receive the tools and assistance necessary in reaching their excellence. Special education tutoring has quickly become a go to service for these parents. 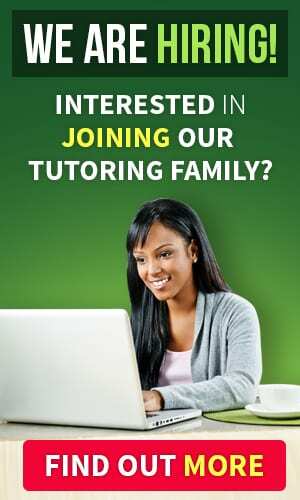 Taking the curriculum your child is already learning in school and molding it to fit their individual learning needs, special education tutoring is increasing the success of students across the US. Whether your child has already entered the world of special education or not, a special education tutor can help calm behaviors and frustrations while increasing academic progression and positive self-esteem. Most often, behaviors are only a symptom of a much deeper issue. 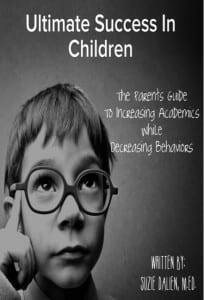 Children, especially middle school age tend to act out when frustrated, overwhelmed or even under-challenged. In many cases, this aggression stems from how the child is grasping the lessons currently being taught in their classroom. Special education tutoring helps decrease behaviors and frustrations due specifically to their customized approach in teaching. This individualized approach to learning ensures your child will catch back up to their current grade level, easing frustration, building an “I Can” attitude which ultimately builds back their confidence and self-esteem. Children in elementary school who are in need of special education tutoring are just beginning to learn how the world around them works, and often become frustrated when presented with ideas they can’t quite understand. This holds true for all children, but a child with special needs can experience these emotions even more intensely than all others, which can lead to emotional outbursts or behavioral issues. By the time a child with special needs reaches middle school, the special education tutoring they receive should be on a more even keel and with less frustration and anxiety. Of course, this can still occur in children at any time – special education tutoring does not prevent that – but often times certain behaviors have become corrected or might be easier to control as time goes on. When a middle school child receives special education tutoring services, it will be with the same care and attention as when they were in the elementary grades. Special education assistance and support will continue to be provided throughout their school career as long as the child remains eligible to receive them. Whether your child is in elementary, middle or high school, one thing will always remain the same – in order for them to receive special education services through the public school system, an assessment will need to be performed that identifies exactly in what areas they will need specialized assistance. A meeting will be called in which you, all relevant school officials, special education teachers and medical professionals will discuss the assessment and then decide on a list of goals and objectives your child is to meet during the course of the year. The outcome of this meeting is an Individual Education Plan, often referred to as an IEP, and gives both you and the school a chance to take an active role in helping your child meet the goals laid out at the beginning of the year. You will be notified by your middle school child’s special education teacher when they reach certain milestones, or when they might be falling short of the specified goals in question. No matter the grade or time of year, an IEP is used as a general guideline to assist your child in academic achievement. As special education services in middle school progresses through the years, your child will continue to be assessed at the beginning of each grade level. This ensures your child is not only accurately diagnosed with a special needs, but gives everyone involved the chance to provide your child with the services needed in order for them to reach educational achievement. The goals will more than likely change each year they’re in middle school to accurately reflect progression or a continuation of the same services. An IEP will always be tailored to your child alone, and will never hold your child to the same standards as others. Every child learns in their own unique way, which is why it’s our responsibility as parents and educators to get them the help they both need and deserve. Educational achievement is the core of the learning process, and can provide your middle school child with invaluable skills for lifelong success. 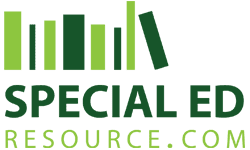 Special Education Resource recognizes the need for supplemental learning through special education tutoring and can help build a plan specifically for your child. Whether you would like a one-time session to provide homework support or would like to make it an ongoing effort, we are here to work with you. Parenting a child with special needs can be difficult, which is why we’re here to help shoulder the burden of educational success. The first step is a free consultation with a special education tutor. During that call, you will be able to get the answers you’ve been searching for as well as some direction and guidance to help ensure your child reaches their excellence. Most often, behaviors are only a symptom of a much deeper issue. Children, especially middle school age tend to act out when frustrated, overwhelmed or even under-challenged. In many cases, this aggression stems from how the child is grasping the lessons currently being taught in their classroom. Special education tutoring helps decrease behaviors and frustrations due specifically to their customized approach in teaching. This individualized approach to learning ensures your child will catch back up to their current grade level, easing frustration, building an “I Can” attitude which ultimately builds back their confidence and self-esteem.